Sounds like an interesting title for a recipe, doesn't it? In reality, it's just what's up at Corelis house. It feels like winter, it looks like winter, it IS winter. 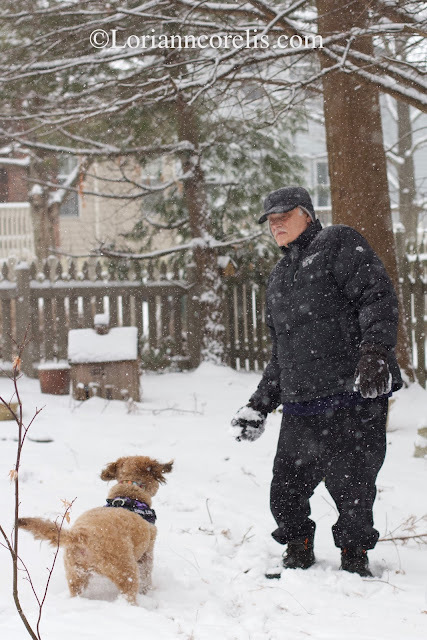 Puppy (Abbey Lane) loves the Snow. Nothing more exciting than this . . . but soup always makes you feel better! For those of you who may not know, in a previous life I owned a restaurant. Because of this I've always looked at recipes as mere "suggestions". So, I will share my "recipe" here, with the hope you will make it your own! 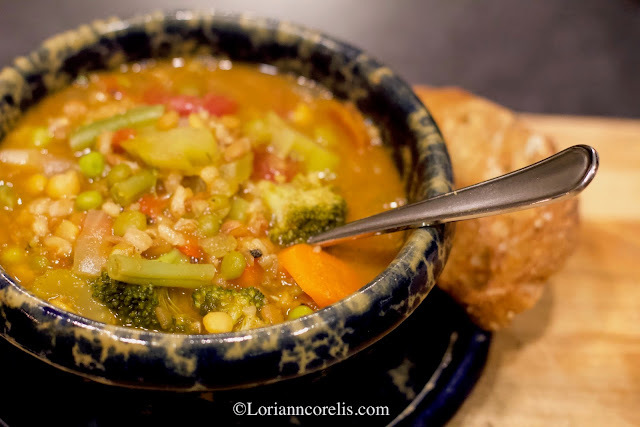 I began with Bob's Red Mill Veggie Soup Mix. *Bring to boil, lower to simmer for about 20 min. 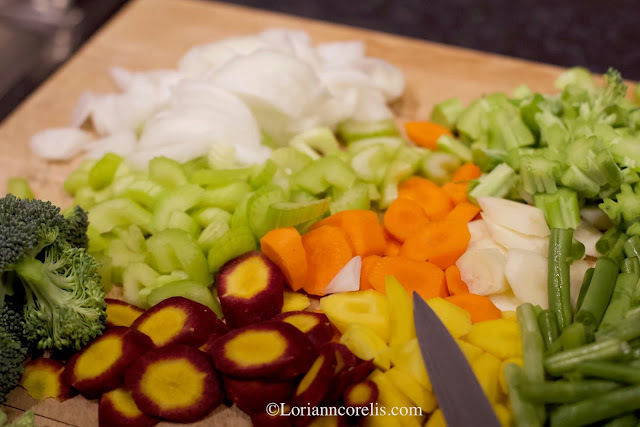 Begin to season broth with your favorite seasonings. 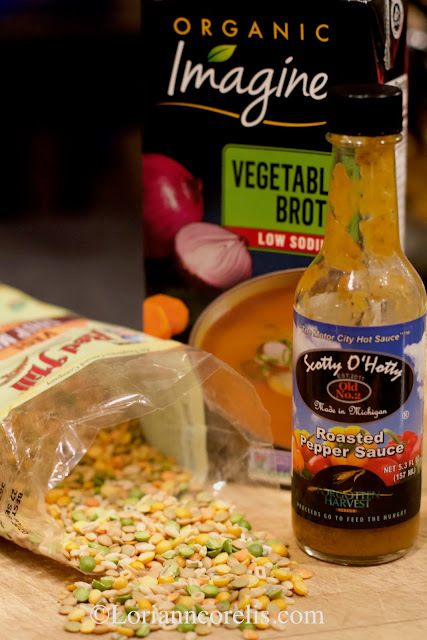 Scotty O'Hotty - Roasted Pepper sauce. 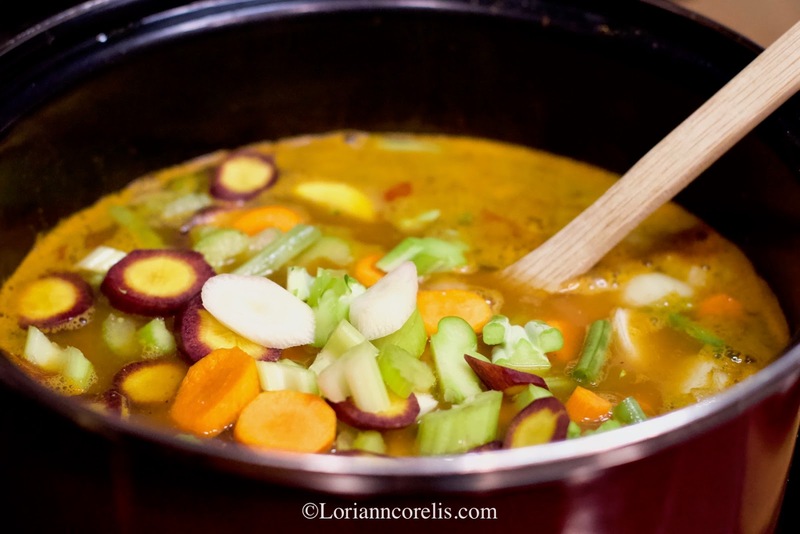 While the broth simmers, cut up any vegetables you might have in the fridge. I eat ALOT of veggies, so we are never low. Just look at the colors of those amazing carrots! The purple ones with the yellow centers are so fun! It was a mixed bag of carrots, orange, purple, yellow and white. Add the cut up veggies. Stay healthy, enjoy the snow and eat soup! Your soup looks amazing ! I also think crusty bread, to sop up all those delicious juices, would be great. feel better, I'm on the mend too!